When you’re ready to get behind the wheel of a new Volkswagen for sale in Lynbrook, stop by the Sunrise Volkswagen dealership! Our sales staff is ready to help you experience our inventory of the hottest Volkswagen vehicles, including the 2019 Volkswagen Jetta and 2019 Volkswagen Passat sedans, as well as the 2019 Volkswagen Tiguan and 2019 Volkswagen Atlas SUVs. Be sure to keep an eye out on our new vehicle specials and lease specials, and make the trip to our dealership when you’d like to take a tour and test drive of the model of your choice! Having trouble deciding? Check out our guide to choosing your next Volkswagen model. We also carry a wide variety of Certified Pre-Owned Volkswagens, so don’t forget to weigh those options as well. 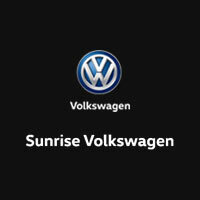 If you have any questions, contact Sunrise Volkswagen online or give us a call at 855-233-7240 to schedule a test drive or see our models in person.